Portland Piano International invites you deeper into the piano experience with Beyond the Score master classes. In these one-on-one sessions, our SOLO recitalists and Rising Stars openly share the insight gained from lives devoted to piano study and performance with advanced piano students and an invited, rapt audience: you. 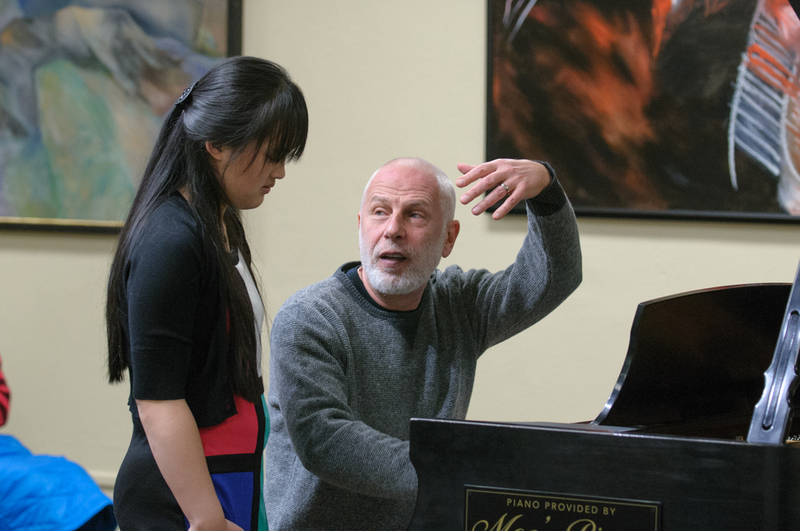 These intimate work sessions are integral to one of Portland Piano International's core values: music education. The sessions are FREE and offer an extraordinary opportunity to see and hear the master teach and the student absorb, struggle and break through to a new level of artistry. You needn't be an expert, a pianist, a teacher or even a student to enjoy and profit from BEYOND THE SCORE MASTER CLASSES. All you need is curiosity and a couple of hours to pursue it. Beyond the Score master classes bring together visiting piano artists of international acclaim with students of all ages whose piano playing is at a high level - relative to their age and capacity. All students who participate in Beyond the Score master classes must be well-prepared, have the notes, rhythms and dynamics of the printed musical page well "under hand" and show eagerness to have their playing reach new levels. Participating advanced students must already have significant experience performing, but also have a desire to grow in their ability to express the composer's intent to an audience. Performances were by Claire Ku: Chopin, Ballade No. 3, Op. 47; Jesse Nieman: Beethoven, Sonata, Op. 53: 1st mvt. ; Ting-Chien Huang: Chopin, Piano Concerto No. 1, Op. 11: 1st mvt. To read Paul Lee's bio, click here. To read Jorge Briceno's bio, click here. A glance at all artists performing in our 2017 / 2018 season.